What better way to relax after a long day than to kick up your feet and enjoy a warm cup of apple cider? 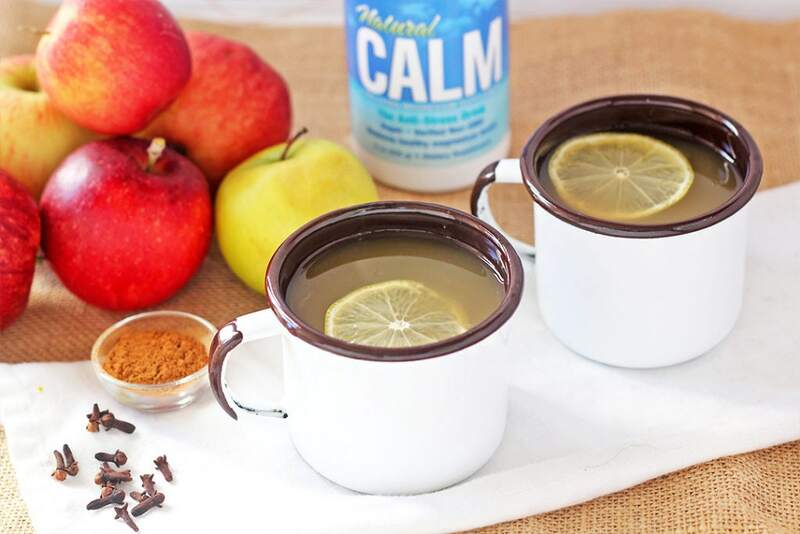 This CALM Detox Apple Cider is loaded with antioxidants, vitamin C, cinnamon to stabilize blood sugar, and Natural Vitality CALM™ to promote relaxation. Add apple juice, cinnamon, nutmeg and cloves to a small saucepan. Bring to a boil and then simmer for 5 minutes. Remove from heat. Add the lemon slices and Natural Vitality CALM™. Enjoy hot.